The Youth Catechism of the Catholic Church, nicknamed YOUCAT, has been increasingly criticized ever since its release in 2011 and there is now a serious petition to recall it. At first the protests seemed to be confined to issues related to the phrasing of particular entries in the Italian and German versions, but it appears that the English version contains several issues and we would do well to be advised of them. The first problem occurs in Question 15 which reads: “How can Sacred Scripture be “truth” if not everything in it is right?” The question is awkwardly worded and could easily lead the young reader to suppose that somethings in Scripture are wrong. The YOUCAT’s answer attempts to clarify what is meant by the question but further confuses matters by stating that the Sacred Authors were products of their culture and “dominated by its errors”. This is a rather amazing statement since we know 1) that several of the Sacred Authors were persecuted precisely because they contradicted their culture, 2) not only were NOT “dominated by its errors” but in fact condemned those errors, and 3) while fallen men like the rest of us, were protected from error by the Holy Spirit as regards what is ultimately recorded in Holy Scripture. A more informed and mature reader might be able to apprehend a more complex understanding of the question as regards particular challenges related to translations, versions, or even the historicity of certain events, but the young reader is simply led to believe that Scripture may contain errors - something repeatedly condemned by the Church for centuries. Another problem occurs in Question 42 in which the reader is asked: “Can someone accept the theory of evolution and still believe in the Creator?” The problem occurs in the answer to the question which essentially answers “yes” so long as one “does not fall into the heresy of evolutionism”. The young reader, fresh from his high school exposure to Darwinism, is not likely to understand the “heresy of evolutionism”. 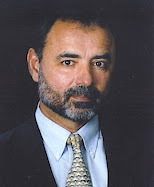 The understanding of evolution within the context of revelation is extremely complex and even John Paul II’s skilled treatment of it (1996) has met with skepticism and opposition. To simply throw the whole question of evolution into a radically simplified and ambiguous entry for consumption by youth is dangerous. But the real issue is that the entry entirely misses the ultimate qualifier for the Catholic acceptance of any theory of creation and that is that the Catholic must believe that the first man and first woman were directly created by God. There are other problems which we do not have space to address here so we will skip to perhaps the most problematic entry of all - given the current national drama over the contraception debate. There is no recommendation here. Periodic continence is simply allowed due to its “conformity with the objective criteria of morality” and the footnote “158” provides the key to a serious treatment of this “objective criteria” which centers on the necessity for “grave reason”. Treatment of this requires a whole other column, but in short, 158 is a footnote to a section in Humanae Vitae which itself footnotes a critical reference to a teaching by Pius XII on the necessity of “grave reason”- upon which the morality of periodic continence depends. The official teaching of the Catholic Church commonly builds upon previous teaching, and a single footnote can often lead to whole tomes and presumes familiarity with them. 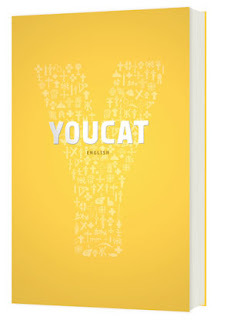 The YOUCAT, while its intent to reach the younger Catholic is laudable, tragically dumbs down critical issues and endangers its readers. Use with caution. The Bellarmine Report: YOUCAT weak on homosexuality, contraception, euthanasia, evolution, and scripture.